Is there allowed to be non-believers in a syncretistic religion? A: Yes, but »most« need to be believers in that religion for it to be syncretistic. Q: Can we have more than one syncretistic religion? There will always be people who deviate from the norm. Q: Was it allowed to be a Non-Roman in the Roman Empire? A: Yes, but most needed to be Romans in that emprie for it to be a Roman empire. Q: Could the Romans have more than one Roman Empire? A: No, ist had to be one and only one. This deviation will not eternally allow one perfect and eternal Romam Empire (therefore Jesus said: My empire is not of this world), but temporarily it is possible. Temporarily one syncretistic religion is possible, if deviation is allowed. Later this syncretistic religion will decay. Everything deacys, but temporarily it can exist. That is why there has never been a single empire in the history of human kind (prior to nations/empires there were clans). People will always differentiate and break away and start there own thing. We can think of many analogies in that case. For example: Each living being has a so-called individual body, a unit, although there are many other living beings in that body, if this living being is a so-called higher living being like a human being. The other living beings in that one living being are the deviations of the rule that one living being is always one living being. It's right: one living being is one living being, regardless whether there are many other living beings in that one living being or not. Beyond that: this one living being needs the other living beings. Living beings are beings of self-preservation (including: self-organisation and reproduction) with an immune system; and the immune system of a so-called higher living being depends on other living beings (bacteria / germs). Without deviations a syncretistic religion can not exist, but we have to call it syncretistic religion nonetheless, even then, if some people who are part of this syncretistic religion say we do not want to be part of this syncretistic religion. As long as this deviated people of one syncretistic religion are not too many, the immune system of that syncretistic religion works very well, thus that syncretistic religion is very healthy, exists very well. I answer the question of this thread (Do you think they will accomplish it?): Probably yes, but if not, then war will have started before. Each human has to calculate that there will be at least one war in his country during his life (averagely there is war in each country about every 70 years, and if not, then this war takes place in other countries), and this is because of economic or political desasters which are caused by humans with much greed, thus much will to power. It is always the same: those people get the power and do what other people have to pay for; and in the end the price is war. And when I say war, I mean a real war, not an economic war (which always happens!). Basically the US governers have the choice between keep it up and stop it, between accelerator politics and brake politics, but almost always they choose the first one (keep it up / accelerator politics) which can also be called expansion. 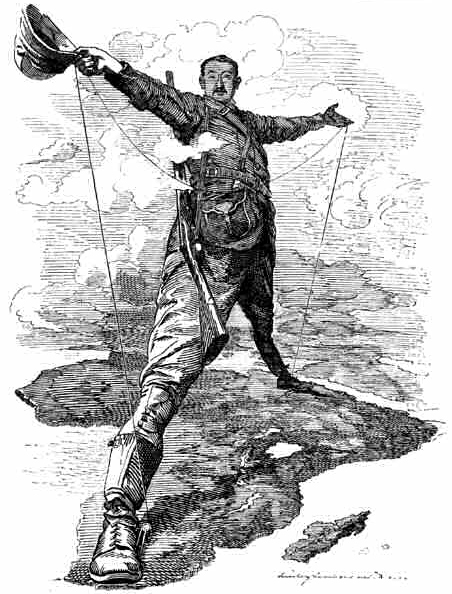 Remember what Cecil Rhodes once said: Expansion is everything! They try to expand economically and politically, and if there is no other means possible anymore, then they will start war - as usual. Instead of war as politics with other means we can also say politics as war with other means. One phenomenon remains in any case: expansion. Expansion happens because of the will to power. The example of the Euro shows how the Amero can start and end, but, because they don't want this end, they try to expand in another way, with other means, for example: the Globo, preferentially at last war, because war is the last means, brings the end of this cyclic process; after it a new cycle begins and ends - of course - with war. If they don't expand, then others expand. That seems to be an unwritten law. Was Du ererbt von deinen Vätern hast, erwirb es, um es zu besitzen. - Johann Wolfgang von Goethe, Faust (I), S. 39. What you have inherited from your fathers, acquire it in order to possess it. - Johann Wolfgang von Goethe, Faust (I), p. 39. Wo viel Licht ist, ist auch viel Schatten. - Johann Wolfgang von Goethe, Götz von Berlichingen, 1773. Where much light is, there is also much shadow. - Johann Wolfgang von Goethe, Götz von Berlichingen, 1773. Only human beings (thus no other living beings) are able to distance or disassociate themselves so much from nature. Humans live on islands of luxury. They have their human bubbles like hulls / shells, caves, huts / cottages, houses, beyond that: castles, churches / cathedrals, cities, city states, states, nations, empires, global empires ... and so forth. Because they are much more spiritual / mental / intellectual than other creatures, they have not only a bodily but also a spiritual immune system. This spiritual immune system is the main cause of the enormous luxury and the characteristic feature of human culture/s. Because of the fact that there are many different spiritual immune systems of humans possible, one should rather speak of several human cultures and not of one human culture. One syncretistic religion is possible. Maybe that the probability of it is not very high, but that does not change its possibility and probability at all. It is not my intention to propagate a syncretistic religion or many syncretistic religions - but I just want to ask: Will we get a syncretistic religion? Adolf Hitler and Mohandas (Mahatma) Karamchand Gandhi were the candidates for the Nobel Peace Prize in 1939. And if the Second World War had not started in 1939, Adolf Hitler would have got the Nobel Peace Prize. The distinction of conservative and progressive is moronic. The Greeks can do that because they have time enough due to their retirement age: 58 de jure, 50 de facto. And they should not demonstrate against countries and people, thus nations. They should demonstrate against empires, against the EU, against the ECB, against the dictatorship of the EU , against the Fed and other powerful private banks, against the WTO, the globalism in general. Yes, and therefore he was a serious candidate for the Nobel Peace Prize. This can easily be proven by the historical sources. But, please, do not concur too quickly (**), because know thyself does not have very much to do with the concrete others due to the fact that it is again yourself who has to know what the others think of you, and the others' judgement can be wrong; they can tell you that you are too much different and therefore very evil - in other words: the others tell you egalitarianistic nonsense, and if you not agree to that nonsense, they will put you in jail, in Gulag, or in psychiatry. Reportedly, there is a discussion about the division of the Euro (€) into a North-Euro and a South-Euro. If the US (which are similar to the EU anyway), Canada, and Mexico will divide their Amero into a North Amero and a South Amero, then Mexico will have to play the same role the countries of the probably coming South Euro play in the case of the Euro. FC can be FC Bayern München (record champion of the Bundesliga, the first division of the German league, and often champion of the Champions league) as well as FC Duckburg (7. Kreisklasse, the fifteenth division of the German league). In that case, clear day means Champions league, and cloudy day means 7. Kreisklasse. Please calculate the mean value! Eighth division of the German league: Kreisliga. Do we also have 15 leagues of government? Wisdom is an elaborated knowledge. It is more based on the own experience than knowledge itself is. So wisdom requires a higher age. Wise people are old. If younger people seem to be wise, to have wisdom, then they are altklug (old-clever), precocious (is that the correct English word for it?). B.t.w. : Knowledge is not always power, because it depends on the magnitude and distribution of power in each and every situation. There are (for example) poor people who are wise, but they have no power, in any case no societal power. 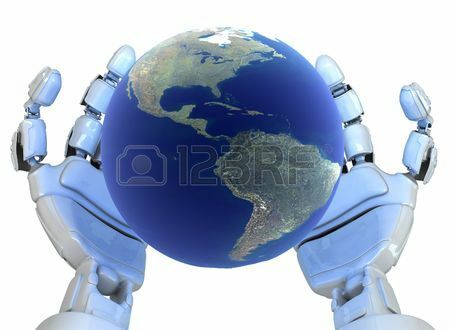 I estimate that the probability that machines replace all humans is about 80% (**|**|**|**|**|**|**|**|**|**|**|**|**|**|**|**|**|**). Don't forget: the descent of machines is not based on biology but on culture. No. That' s not the point. Obviously, you have no idea of the history of the Euro. The Euro has already shown that support - especially democratic support - is not necessary for those who wanted and want to have the Euro. Before the Euro was established, it was known that the the South Europeans would get problems with the Euro! Most humans do not learn from history. That is the problem! Do you think that humans do what history has taught them? Mostly they do what others want them to do, regardless whether it is reasonable or not. The governments in Canada, USA, and Mexico will probably not reasonably decide. They will decide what the real rulers want them to decide. It is alomost a safe bet that the Amero will be established without a general support, without a real majoritarian support. So you could not help her. I see. The political doctrine of anacyclosis (or anakyklosis from Greek: anaklosis) is a cyclical theory of political evolution. The theory of anacyclosis is based upon the Greek typology of constitutional forms of rule by the one, the few, and the many. Anacyclosis states that three basic forms of "benign" government (monarchy, aristocracy, and democracy) are inherently weak and unstable, tending to degenerate rapidly into the three basic forms of "malignant" government (tyranny, oligarchy, and ochlocracy). Note that "ochlocracy" refers to mob rule, not the concept of democracy created in the late 18th century. And you are not joking, are you? Amenophis IV. (Amenhotep IV., a.k.a. Echnaton [Achenaton]) was the founder of the first henotheism, a.k.a. monotheism. Is that what you like to worship, Turtle? It would be better, if we had one that is not like any of those forms of governing. The remarkable aspect of this graph is that it shows four periods of sustained use of the terms Luddite and Luddites after the initial movement subsided. The late 1960s peak can be understood as part of the rising green, ecological movements, and the 1830s due to Captain Swing, but I cant see easy explanations for the other periods. Perhaps the 1880s relates to the new unionism, and the 1930s the great depression and a corresponding lack of faith in progress. The 1930s also see the first concerted use of the term Luddism, as a theorization of their practice. Theres also a jump in the late 1940s; a consequence of Hiroshima and Nagasaki perhaps? One of the problems of this data is its not clear who is using the word, or how; is it a smear thrown at ones enemies, or a claiming of ones own tradition? (The results pre-1810 are due to Googles dodgy metadata. )- Anterotesis. 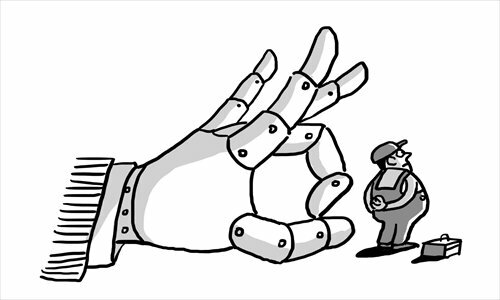 At the site where the robot is deployed, even though some jobs are replaced by robots, many jobs are preserved from moving to lower cost labor factories offshore. 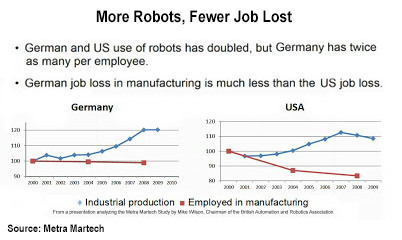 There is much evidence proving that with more robots, fewer jobs are lost. That's why Germany, with it's hourly rates almost 50% greater than in the US, has remained competitive: they have twice as many robots per employee as do the Americans. There are also ancillary jobs created at educational institutions that teach robotics, at robot component suppliers, and at engineering and consulting companies that provide integration services and equipment. - Singurality Hub. Schuld am 1. Weltkrieg haben Serbien, Rußland, Frankreich, England sowie - im Sinne der Verhinderung eines Verständigungsfriedens - die USA (**) und insbesondere die Zionisten (**), die England, Frankreich, Rußland, Italien u.a. das Ausharren bis zum Kriegseintritt der USA nahelegten, dadurch also eine Wende des schon verlorenen Weltkrieges in Aussicht stellten, im Gegenzug die Schaffung eines Judenstaates in Palästina garantiert haben wollten und, weil das auch geschah (siehe: Balfour-Erklärung [**|**|**|**|**|**|**]), sie dadurch zum zweiten Mal und sich selbst zum ersten Mal schuldig machten. England, Frankreich, Rußland, Serbien, USA und die Zionsten (das spätere Israel [**|**]) haben laut obiger Tabelle gleich viel Schuld. Doch dem 1. Weltkrieg unmittelbar angeschlossen war ja ein Diktat, das ihn nochmal verlängerte, zu einem 31-jährigen Krieg werden ließ und also die Hauptschuld am 2. Weltkrieg hat. Dadurch verändert sich die Bewertung der Schuld also noch einmal. »Der französische Revanchegedanke« sowie Haß und Neid (**), wie sie von Woodrow Wilson verkörpert wurden, haben zu Hitler geführt. Diese Ansicht vertrat Bertrand Russel schon im Jahre 1934 in seinem Buch »Freedom and Organization«. .
Der Teilnahme der USA am Krieg gegen Deutschland und der Uneinsichtigkeit und dem Haß von Franzosen und Engländern verdankt Europa seinen Niedergang. (Ehrhardt Bödecker, Die europäische Tragödie, 1998, S. 134-135, 139). Ach so, Sie als irgendjemand vertreten also irgendeine Ansicht. Ich habe genügend Quellen! Einige habe ich bereits genannt. Wenn aber Leute wie z.B. ganz bestimmte Kommentatoren im Internet - also auch in diesem Blog - meinen, einfach nur dem Mainstream nachplappern zu müssen, um sich dadurch ein wenig wichtiger zu fühlen, so sagt das nur etwas über diese Personen aus. Das ist die einzige Quelle, die diese Personen haben - sie selbst. Das, was hier passiert, ist typisch für das ganze Internet. Es beweist nur Dummheit und Abhängigkeit. Tabus nützen nur denen, die sie verordnen. Alle anderen sind entweder als Mitläufer in der riesigen Mehrheit oder als Gegen-den-Strom-Schwimmer in der Minderheit. Zur Quelle kommt nur, wer gegen den Strom schwimmt. Kennen Sie gar nicht die Balfour-Erklärung? Die Balfour-Erklärung hatte zwar nichts mit dem Ausbruch, dafür aber um so mehr mit dem Ausgang des 1. Weltkrieges zu tun, und das habe ich ja auch gesagt (siehe oben). Was die Angelegenheit mit Serbien und dem Attentat auf den österreichischen Thronfolger angeht, so sind die Quellen einigermaßen bekannt. Daß aber danach ganz bestimmte Politiker aus ganz bestimmten Ländern ganz bestimmte Fäden gezogen haben, ist leider nur noch wenigen Menschen bekannt. Die Antwort auf die Frage, wer ein Interesse daran haben konnte, daß der 1. Weltkrieg sich nach 1916 in die Länge zieht, ist viel interessanter, weil sie viel über diejenigen verrät, die durch Kriege mächtig und noch mächtiger werden. Für den Beginn des 2. Weltkrieges ist nicht so sehr der Beginn, sondern der Ausgang des 1. Weltkrieges wichtig. Sie scheinen die Balfour-Erklärung und die damit verbundenen Umstände, die besonders für England und die Vereinigten Staaten sehr brisant waren, nicht zu kennen. Versuchen Sie an die Quellen zu kommen. Sie sind sehr interessant. Sie werden dann auch verstehen, was daran so geheimnisvoll ist, denn in Deutschland ist die Balfour-Erklärung nicht erhältlich, also de facto: verboten (wie so vieles!). Sie behandeln den Ersten Weltkrieg, und die Kommentatoren sollen lediglich applaudieren? Aber so kenne ich das Internet. Nur aufgeblasene Luftballons in einem Raum voller Nägel. Es gab mehrere Friedensangebote von der deutschen Seite. Deutschlands Gegner haben sie alle abgelehnt. Das ist bekannt. Früher durfte man das in der Schule noch wissen, aber ironischerweise ist es seit der angeblichen Deutschen Einheit verboten, über die Deutsche Geschichte anders zu denken, als die Siegermächte es erlauben. Als Interessierter müssen Sie erst einmal alle Verbote und Tabus, die Ihnen über das hiesige Bildungssystem (eher: Unbildungssystem oder Umerziehungssystem) eingetrichtert worden sind, über Bord werfen und völlig neutral an die Geschichte herangehen. Es ist nämlich nicht wahr, daß keine Partei den Krieg beenden wollte, wie Sie fälschlich behaupten. Aber wahr ist, daß die Siegermächte wollen, daß geglaubt wird, es sei keine Partei zum Frieden bereit gewesen. Denn es waren die Siegermächte, die zum Frieden nicht bereit waren. Das Schlimme ist, daß die Geschichte in den Schulen und Universitäten und folglich auch im Internet immer so erzählt wird, als dürften Deutsche entweder darin keinen Platz haben oder eben nur die Rolle des Bösewichts und Sündenbocks spielen. Das hat mit Geschichtswissenschaft nichts zu tun, sondern eher mit Religion, mit moderner säkularer Religion, sprich: Ideologie. Zu der Zeit, als ich studierte (übrigens: auch Geschichte), herrschte noch ein mehr wissenschaftliches Klima an den Universitäten vor. Doch das ist seit langem vorbei, besonders in den sogenannten geistes- und sozialwissenschaftlichen Bereichen. Heute sind die meisten Universitäten zu politisch-korrekten Tempeln verkommen. Gehorchen hat mit Wissenschaft nichts zu tun. Und wenn Sie sagen, daß Sie hier ... nun mal nicht den Zweiten, sondern den Ersten Weltkrieg (**) behandeln, so frage ich mich schon, warum Sie dafür einen Titel gewählt haben, der auch sehr deutlich und mit viel unnötiger Rhetorik auf den Zweiten Weltkrieg deutet: Der Adolf Hitler des Ersten Weltkriegs (**). Ich meinte die echte Balfour Erklärung. Sie wissen offenbar gar nicht, wie man als Wissenschaftler vorgehen muß. Die Wörter Balfour, Erklärung beweisen allein genauso wenig wie Google, Wikipedia und andere aufgeblasene unwissenschaftliche Unseriositäten. Es ist überhaupt nicht einfach (**), es ist unseriös und absolut unwissenschaftlich. Und es ist auch kein Wunder, daß es so etwas mittlerweile gibt und als Gottheit akzeptiert wird. Mit Wissenschaft hat das alles überhaupt nichts zu tun. Die echte Balfour-Erklärung ist eben nicht dort zu finden, wo Sie sie vermuten. Offenbar kennen Sie sie gar nicht, wie ich schon sagte. Das ist so nicht wahr (**). Und natürlich haben Sie keine Quellen angegeben. Brauchen Sie ja auch nicht. Aber dann erwarten Sie das bitte auch nicht von anderen. Das ist hier leidglich ein Blog - mehr nicht! Gescheitert ist alles an den späteren Siegermächten. Das, was Sie sagen, entspricht nicht der Wahrheit. Es ist genau umgekehrt. Das, was Sie und Ihresgleichen ständig als "Quellen" ansehen, sind keine historischen Quellen, noch nicht einmal Sekundärquellen, weil sie größtenteils auf Fälschungen beruhen. Die deutsche Reichsregierung hatte gegen Ende des Krieges nicht mehr viel zu sagen; das ändert aber nichts daran, daß sie Friedensangebote gemacht hatte, und zwar auch und besonders schon zu einer Zeit, als sie noch über mehr Macht verfügte. In den letzten Jahren des Krieges war das für sie nicht mehr so einfach, und genau das paßte den Gegnern Deutschlands exakt ins Konzept. Sie müssen sich einmal überlegen, was für England und Frankreich - besonders aber für England - auf dem Spiel stand. Das muß man doch nicht hier in Ihrem Blog! Wer sind Sie denn schon? Sie geben ja noch nicht einmal Ihren echten Namen an! Das ist doch lächerlich. Aber eben typisch für das Internet, wie ich schon sagte. Das Internet ist eine reine Aufblaserei - wegen nichts und für nichts. Ich möchte Ihren echten Namen und Ihre Geburtsdaten wissen, und zwar mit der Urkunde dazu. Ist das möglich? Nicht wir sind Ihnen, sondern Sie sind uns - den Lesern - Rechenschaft schuldig. Also her mit den Quellen. Bisher haben Sie noch keine echten Quellen gebracht. Solange nichts wissenschaftlich belegt ist, müssen Sie mit Kritik, zumindest aber mit viel Skepsis rechnen. Sie aber verlangen von den Lesern Ihrer Texte das, was Sie selbst nicht bringen. Behandeln Sie, was Sie wollen, aber wenn Sie einen Text in einem Blog anbieten - also Blogwart sind -, dann müssen sie schon auch akzeptieren, daß jemand etwas schreibt und nicht einfach nur applaudiert. Und was die territorialen Zugewinne angeht, so haben z.B. England und Frankreich niemals zuvor in so kurzer Zeit mehr bekommen als mit Hilfe des 1. Weltkriegs. Ich hoffe, ich muß jetzt nicht alle diese vielen Gebiete aufzählen (England bekam übrigens Palästina - warum wohl?). Schauen sie einfach nur in den DTV Atlas Weltgeschichte. Deutschland war nicht in der schwächeren Position. Genau das Gegenteil ist richtig. Es stand ziemlich früh fest, daß Deutschland den 1. Weltkrieg gewinnen würde, und erst als die USA sich auch aktiv beteiligten (vorher lieferten sie nur Material an die schwachen Alliierten), wendete sich das Blatt allmählich. Auch das ist bekannt und belegt, und übrigens früher auch nie in Zweifel gezogen worden. Jetzt kommen so Internetianer an und behaupten kackfrech irgendetwas anderes, wissen aber nichts darüber. Nein, Sie müssen sich die Statistiken anschauen, und vor allem: Sie müssen auch stets dazusagen, worauf sie sich beziehen. Ich habe ja gesagt, daß die Vergleiche dann und nur dann so sind, wie Sie sagen, wenn man die USA mitberücksichtigt. Die USA waren aber nicht während des gesamten 1. Weltkriegs im Einsatz, haben aber seit dessen Beginn ihre Verbündeten unterstützt. Einige Beispiele: Rußland hatte zu der Zeit noch keine Industrie; in Italien sah es nicht viel besser aus; Frankreich hatte ebenfalls nur eine schwache Industrie (deshalb wollten die Franzosen Lothringen und das Saargebiet); England war zwar eine große Industrienation, aber noch im 19. Jahrhundert von Deutschland überholt worden; das einzige Land, das die Statistiken, von denen Sie sprechen, zugunsten der Gegner Deutschlands ausfallen lassen konnte, waren die Vereinigten Staaten von Amerika. Aussagen, die hiermit nicht übereinstimmen, sind Spinnerei, Wunschdenken, Propaganda, jedenfalls keine Wissenschaft. Wären die Vergleichszahlen nicht von Beginn des 1. Weltkriegs an in etwa ausgeglichen bzw. (richtiger) zugunsten Deutschlands gewesen, wäre der 1. Weltkrieg viel früher zu Ende gewesen. Dazu braucht man auch gar keine Statistiken, sondern nur den gesunden Menschenverstand (der ist aber leider im Internet nicht gefragt). Die Zahlen der Toten spiegeln auch das Verhältnis wider; und Sie werden sich wundern: die meisten Toten gab es auf der Seite von Deutschlands Gegnern. Schauen Sie einfach nur in die einschlägigen Geschichtsbücher. Darüber hinaus kommt es nicht nur auf Quantität, sondern besonders auf Qualität an. Wer Geschichtswissenschaft betreibt, muß gegen den Strom schwimmen. Hier bewahrheitet sich das von mir schon erwähnte deutsche Sprichwort: Zur Quelle gelangt nur, wer gegen den Strom schwimmt. Das, was in der Öffentlichkeit als Geschichte gilt, beruht fast immer auf Lügen, Fälschungen und Siegerjustiz. Auch das ist eine historische Tatsache. Das, was Sie Quellen nennen, sind keine historischen Quellen. Sie scheinen gar nicht zu wissen, was historische Quellen sind. Kein seriöser Historiker anerkennt Texte aus dem Internet als historische Quellen. Sie können anführen und verlinken, was Sie wollen - mit Wissenschaft hat das nichts zu tun. Ganz einfach. Ja, Sie machen es sich ganz einfach. So you live in the world of nobility and feminism. Do you live in Buckingham Palace or in one of the banks of the City of London? According to your funny posts one can conclude that you live in a noble world and have to marry your sister, or your cousin, or your niece. We don't have much to do with the nobility. Nobody of us Westerners does have to marry relatives. You are talking about the exceptions of the rule that there is no insider marriages in the Occidental society. In other cultures the reverse is true, namely: insider marrriage as the rule and other marriages as the exceptions. Hard work is the work of male humans, oxen, horses, and - of course - machines. Machine work has replaced oxen work, horse work, and most of the typical male human work. If it had not, then there would still be more male work than female work. We have more female work than male work because of the fact that male work is almost completely replaced by machine work. Greetings to your lovely mama and your scrubbing queen in Buckingham Palace. Mannequin, did you not notice the joke? Yes, that's right: Kant pointed to the necessity of that 3rd element, »relevance« or usefulness. He proclaimed that it is of necessity that we presume causality. And in that regard, he was right. But that doesn't exactly answer whether causality is true, but merely why we accept it as true. (**). Is causality true? Is an exact answer possible? First Kant was an enlightener (Aufklärer), then he was an idealist because he stopped or overcame the era of enlightenment and started the era of the post-enlightenment idealism (post because there were some idealists long before Kant, for example Leibniz). In any case, Kant was the father of the modernity. I guess that, if you had lived at Kant's time, you would have tried to prolong the era of enlightenment by saying yes to the question is causality true?. Kant referred to the epistemology, to the knowledge, thus also to causality but not so much to the metaphysical question of the truth of causality. After Kant the question of a true causality has been occurring again - similar to the time before Kant but (and that is the huge difference) by referring to Kant, thus not without Kants philosophy. A rational ontology includes causality, yes. But does it really make the causality true? One could also say that we accept the world as the truth but do not know whether it is the truth or not. 2) There is only truth outside of the (brains of the) subjects. This answer is philosophically called objectivism. 3) There is only truth in the (brains of the) subjects. This answer is philosophically called subjectivism, as an extreme form: solipsism. 4) There is no truth. It seems that no one of them can be proved or disproved. The Sun is both giver of life and taker of life. The Sun is the source that makes life possible and impossible. We know from science that the Sun has shone for about 5 billon years and will shine for about 5, 6, or 7 billion years, if the scientists are right. So, if the scienits are right, you could also ignore the Sun. But nonetheless, you worship the Sun. Is it because of the fact that we can not be sure that scientists are right? Or are there other reasons? And, if so, which reasons? Governing forms are implemented by (1) one, (2) few, (3) all (majority of all). Mixed forms are possible because there are several social classes, but, however, at the bottom line there is merely one form for each society possible. It is the upper class that affects the other classes very much more than the other classes affect each other or even the upper class. Okay, let's talk about SAM again. SAM does only work in small societies. So should we reduce the current societies (except those in jungles, deserts, and steppes) to small societies? 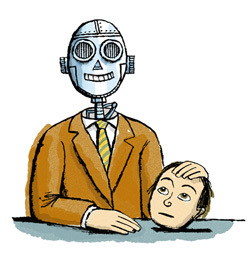 Will machines completely replace all human beings? (**|**). 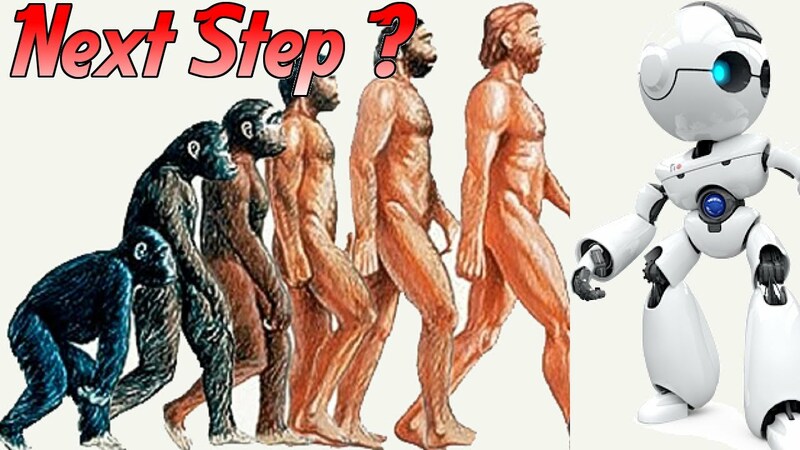 Is it possible that machines completely replace all humans? (**|**). Anything and everything that is consistent and coherent within a comprehensive ontology is necessarily true (**), yes, but nonetheless the question is: is it true because of your thoughts (subjectively true) or because of reality (objectively true) or because of all (subjectively and objectively true). A) Is the consciousness true? B) If yes: Is consciousness subjectively true (thus according to one's consciousness) or objectively true (thus according to the consciousness[es] of all, for any and every consciousness)? There is only »reality« outside. (**). This sentence means or should mean that the objective world is true and called reality, but it doesn't say anything about the inside, about the (brains of the) subjects, the truth of them. Truth is the accurate internal map inside a mind. (**). This sentence says something about the inside, about the (brains of the) subjects, but it doesn't say anything about the outside, the so-called realitiy or world, the truth of them. 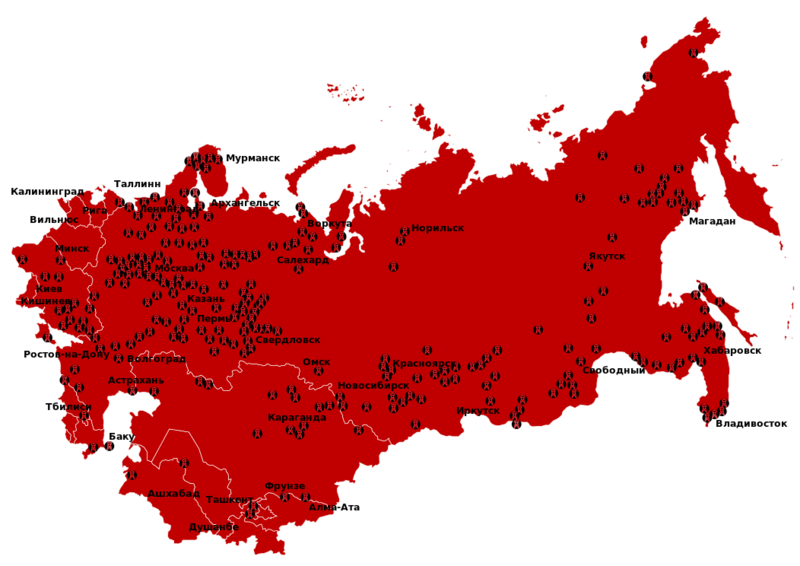 The underlined word accurate does not prove that the internal map maps the outside realitiy. As long as there are conscious beings, there is truth. (**). This sentence underlines what I said, but does also not answer the question where the truth is represented: only in the consciousness of one (the subject), only in the world (the object), or in both. If one says that there is only truth in the (brains of the) subjects , then one does not say whether there is also truth outside of the (brains of the) subjects, whether the brains are true or not, and, if (brains of the) subjects are not true, whether there is truth outside of them, and, if the (brains of the) subjects are true, whether they are only subjectively true, or only obejectively true, or both subjectively and objectively true. In summation: Kant was right. The cell is the smallest unity of of a living thing. it is able to fulfill all main functions of an organism. The cromatin in the cell nucleus contains the carrier of the hereditary information: the DNA. The DNA is a long molecule chain with four different bases (A, C, G, T). The RNA is the translater. 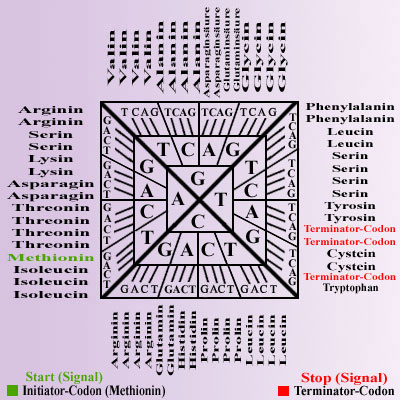 On the DNA chain each amino acid of the later proteins is coded by three successive bases. So the basic law or constitution of SAM could be similar to the genetic code. I think that you (**) are missing the point.
) The objectivity (reality, world) and the subjectivity (self, consciousness) depend on each other.
) 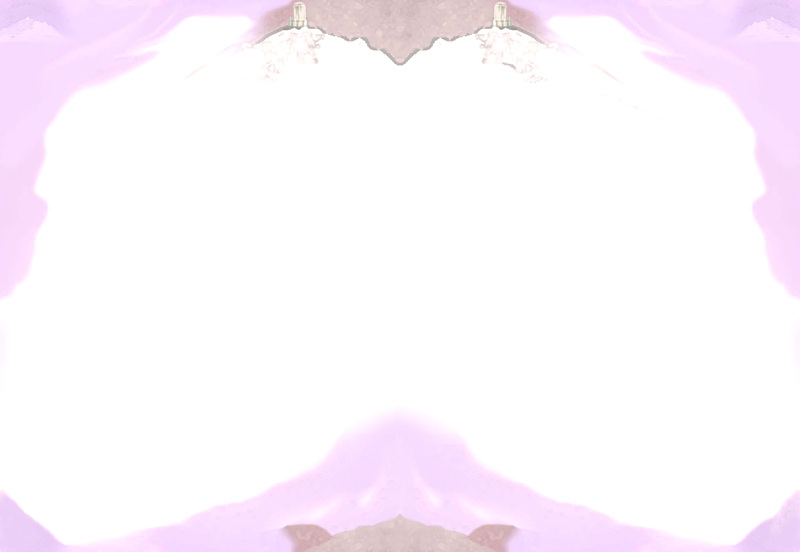 Each conscious entity forms a proposed truth to match that reality (**). But who decides whether it matches or not? Okay, you would say: the reality as an affectance ontology. But reality (objectivity, world) and consciousness (subjectivity, self) depend on each other. Who or what decides what is true? God? Or space and time, thus development, evolution, history, thus something like a result of a logical and/or imagined process? Or just ontology? But, if so, which one? For example: Heidegger's fundamental ontology? Or RM:AO? Or VO? These questions are the point as long as we have no exactly corresponding answers. Reality is the only governor. (**). Okay, but reality (objectivity, world) and consciousness (subjectivity, self) depend on each other. Unfortunately or fortunately: the problem of the subject/object-dualism is not solved. Thus: consistent and coherent with my language and/or my ontology! 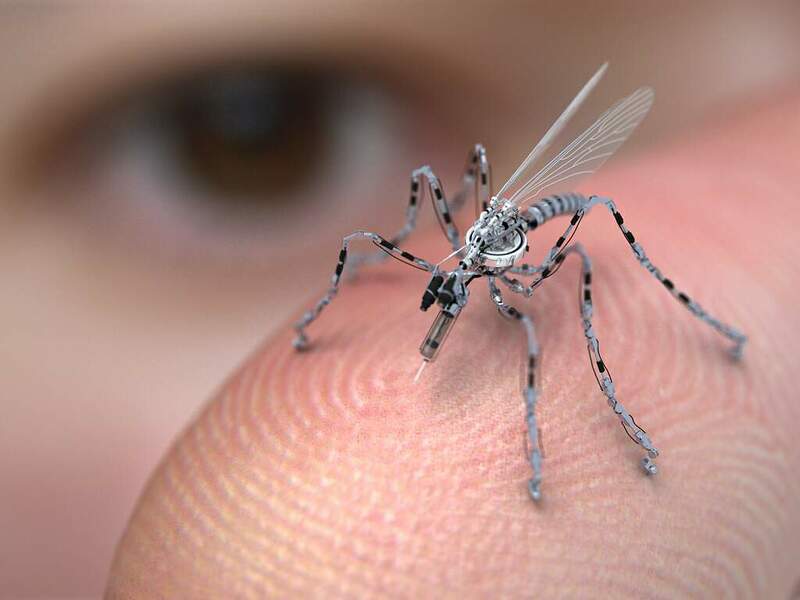 A needle which mimics the mosquito's unique stinger, making injections painless, was developed by microengineers. Contrary to popular belief, a mosquito can stab you with its proboscis without you feeling a thing. It then injects anticoagulant saliva to stop your blood clotting while it feeds, and it is this that carries the bacteria that cause irritation and pain. That (**) is a very good text! Congratulaitions! If there is snow in the UK now, then, Mags, please tell me: where in the UK is it now?